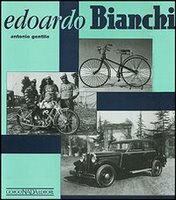 Bianchi motorcycle books includes the history of Bianchi and it's founder Edoardo Bianchi. Bianchi motorcycles were made from 1897 to 1967 by Edoardo Bianchi. Bianchi was a prominent name in the motorcycle racing world from 1925 to 1930. Edoardo Bianchi by Antonio Gentile (1992). 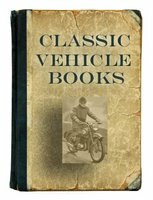 An essential reference for those studying automotive history. Edoardo Bianchi, one of Italy's most prestigious mechanical engineering firms, was founded at the end of the 19th century. The company has produced a diverse line of motor cars, bicycles, motorcycles, industrial vehicles and aircraft engines.